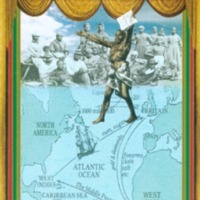 The dance-theatre production Heartbeat Riddim Chant was based on the horrors of the transatlantic slave trade. 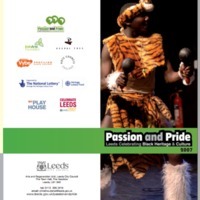 The production premiered at the West Yorkshire Playhouse in Leeds in July 2007, and mixed dance, live music and voice, including traditional Caribbean folk dancing blended with contemporary reggae. The show was choreographed by David Hamilton, and featured dancers from Regeyshun Dance and members of the community dance group Back Bone. There were also performances from youth dance groups and young voices from across Leeds, including LS7 Result, Northern School of Contemporary Dance, Gee4orce and Leeds Young Authors. Threads of Strength and Fortitude was an exhibition of a series of textiles by artist Penny Sisto, created as a personal response to the bicentenary. The quilts were shipped over from New Albany, Indiana, and exhibited at the Royal Armouries in Leeds. Eight quilts explored the theme of slavery through depictions of servitude, emancipation and the flight to freedom. 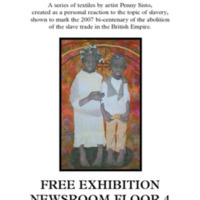 Pieces on show include 'Slave Ship 1,' which depicts eight enslaved Africans chained by their necks on a slave ship. Another quilt, 'Ran Away', showed a farmer leading Underground Railroad travellers by lantern light. The exhibition was accompanied by an interactive DVD, 'Ordinary People, Extraordinary Courage: Men and Women of the Underground Railroad in the Indiana and Kentucky Borderland'. There was also a series of events, including guest lectures and workshops on the subject of the abolition of slavery aimed at school and community groups. Art-based workshops explored the themes of peaceful resistance. 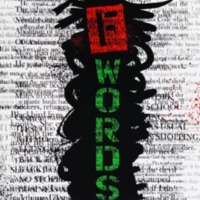 FWords was a creative response of eight Yorkshire writers and artists to the commemoration of the Abolition Act, in a project led by Peepal Tree Press in Leeds. Focusing on the many variations of the theme of 'Freedom', Fwords was created to raise the profile of Yorkshire's rich heritage of talented artists, descendants of those who migrated, forcefully and otherwise from Africa and beyond. The work of six writers was illustrated with work from two visual artists, and with a foreword from Caryl Phillips. The project was supported by printed materials, broadcasts, digital and dedicated web pages. 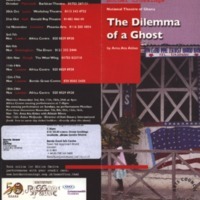 Written by Ghanaian playwright Ama Ata Aidoo, The Dilemma of a Ghost deals with colliding cultures in 21st century Africa. An African-American woman accompanies her Ghanaian husband as he returns home, but the couple are haunted by ghosts of the inheritance of the slave trade. A collaboration between London theatre company Border Crossings and the National Theatre of Ghana, the production used music and dance to celebrate 50 years of Ghana’s independence and 200 years since the abolition of the transatlantic slave trade. The play was performed in Birmingham, Hull, Leeds, Leicester, London, Plymouth and Slough. 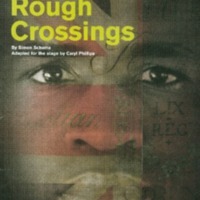 The production was was accompanied by a new book from Border Crossings, working in collaboration with Anti-Slavery International. ‘Theatre and Slavery: Ghosts at the Crossroads’ explored the ways in which world theatre responds to key issues in modern society and politics, including the issue of contemporary slavery. 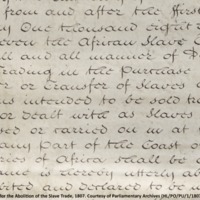 In the Recovered Histories online resource, Anti-Slavery International digitised and made accessible for the first time a collection of over 800 pamphlets dating from the 18th and 19th centuries relating to the transatlantic slave trade. 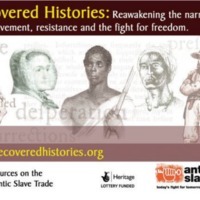 The resource captured the narratives of the enslaved, the enslavers, slave ship surgeons, abolitionists, parliamentarians, clergy, planters and rebels. An accompanying touring historical exhibition and an education pack featured testimonies and pictures from Africans subjected to slavery, those participating in the enslavement and those who fought against it. 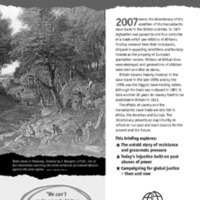 An outreach and resources programme included a series of free regional seminars in April and May 2008, which encouraged dialogue about the transatlantic slave trade and its legacies by bringing together a wide range of groups and organisations who worked on these issues. The workshops were held in Bristol, Edinburgh, Leeds, London and Manchester. A series of short stories were published, inspired by the Recovered Histories resource.